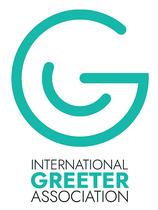 Tell us about yourself so that we can match you with the best available Greeter. Just fill in the form and a Rotondella Greeter will contact you as soon as possible to set a time, date and place to meet . How did you hear about Rotondella Greeters? If you have anything else to add that you think may be relevant to the Greet then simply type away here. If you require any special consideration then let us know. For example, if you need wheelchair access. Your Greeter will do his or her best to accommodate your special needs . . .